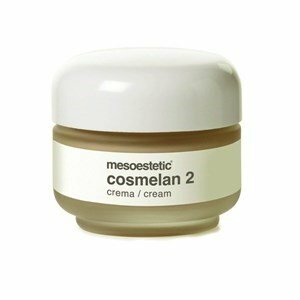 The Cosmelan 2 acts at the level of the responsible cells for skin coloration, stopping the production of color in areas where this is excessive, eliminating, or mitigating the unsightly stains. The mechanism of action is based on the blocking of tyrosinase. During the whole process of treatment it should be used a full-screen sun protector. It's excellent for melasmas treating. The Cosmelan Treatment was developed to achieve the highest level of efficiency with greater tolerance. To ensure its effectiveness it's essential to ensure a correct application in cabin/aesthetic office and its continuation at home (Cosmelan 2). The Mesoetetic Protocol should be carefully complied with Cosmelan to guarantee effectiveness of approximately 95%. The appearance of melânic stains is mainly due to the solar exposure and the degeneracy of the mechanisms of production of melanin of the skin. The use of sunscreen with high protection index - SPF50 - during the treatment is key to ensure its effectiveness and avoid the stimulation of hyperpigmentation. In the case of an intensive depigmenting treatment, the use of Cosmelan is totally contra-indicated in the summer, therefore it should start in seasons where sun exposure is lower. Using Cosmelan, severe flaking may occur in the first and second weeks, there may be stinging, redness, tenderness to the touch and periorbital edema. With continued use, in wich the cell renewal is normalized, these reactions tend to fade away, although it does not diminish in any way the effectiveness of the product or the depigmenting effect. The first results of the treatment should be obtained 21 to 30 days after the treatment's initiation. 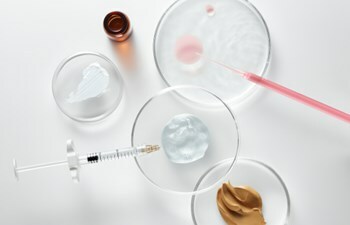 The continued treatment with Cosmelan develops skin resistance to the treatment. Fourth month until the 6th or 12th month: 1 time a day at night. NOTE: the change of the cream's color does not affect its effectiveness nor its activity level. Meet the face products that are best sellers at our store and get to know why!